Blog Why isn't "cage-free" good enough? Why isn’t “cage-free” good enough? 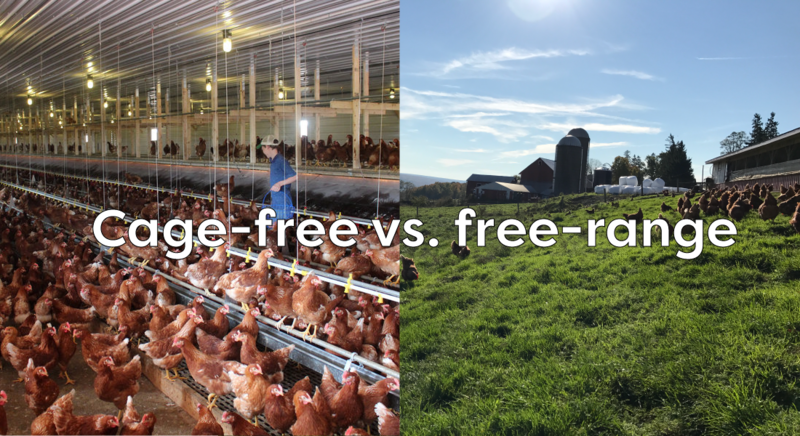 Cage-free eggs are the same as free-range eggs. Each term means something totally different! Red Gate Grocer eggs are American Humane Certified as free-range and that means everything from pasture access to square foot of space per bird is checked. Which one do you think makes for a happier hen? Cage-free hens are required to have outdoor access. Saying a hen is "happy" can substitute for being held accountable to transparent 3rd party humane certifications and standards. Red Gate Grocer eggs are from a single family farm that undergoes annual 3rd party checks from the American Humane Society. The standards for free-range laying hens are 172 PAGES long.